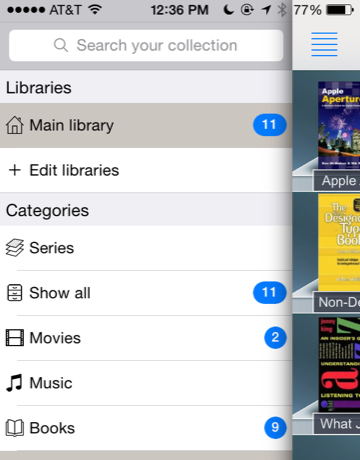 Cataloguing your books, DVDs, games, and other media couldn’t be easier than with an iPhone and one a few good scanner and media library apps — most notably Fantastic Library and GoodReads. With these iOS apps you can keep track of your books and other media just as you can with the Mac application Delicious Library 3 (reviewed here Collect ALL The Things With Delicious Library 3 for Mac OS X Collect ALL The Things With Delicious Library 3 for Mac OS X There's a pretty good chance that you have things. Many kinds of things in fact, from gadgets to toys, books to power tools and piles of DVDs. What if there was a way to organize... Read More ) or other online book collections sites 4 Great Ways to Keep Track of Your Expanding Book Collection 4 Great Ways to Keep Track of Your Expanding Book Collection Read More and personal movie lists 5 Websites To Make Your Own Personal Movie Lists 5 Websites To Make Your Own Personal Movie Lists Read More . 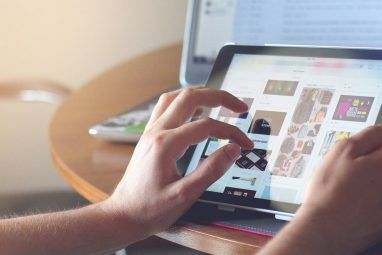 Cataloguing your media library is useful for selling items on places like Ebay and Amazon or keeping track of books and other media you have loaned out. Thanks to those ubiquitous barcodes on most all media products we purchase, barcode scanners can quickly download pertinent information for cataloguing items without the need to enter anything manually. Fantastic Library is available as a limited free and a paid universal download . It allows youto create multiple collections (for say your home, office, storage) by scanning the barcode on books, movies, music, and games; or by manually searching by ISBN, title, and keyword. After a scanning a few barcodes I wondered if Fantastic Library included a way to continuously scan items, and sure enough it does. Under the app settings, you can enable Continuous scan and simply rip through a pile of items. The scanner locates the barcodes in record time and automatically saves the information and cover art to your library. The free version limits the number of scanned entries to 15. 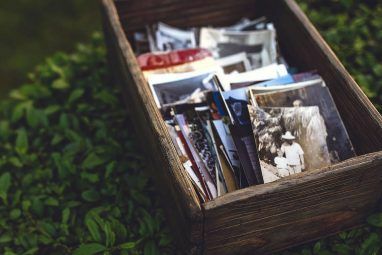 Scanned items can be filtered and viewed by individual media categories, favorites, rating, items in a series, with a separate section for items you have loaned out. Sorting can be fine-tined based on a large range of criteria – depending on the information you have available – including hardcover items, paperback, release date, price, music label, movie studio and so on. 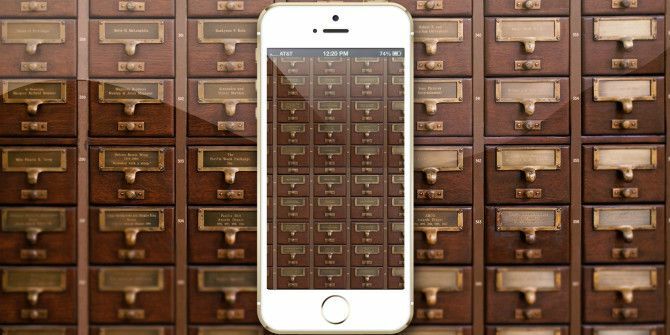 The app also lets you change the bookshelf to one of 11 different designs, and throw a passcode your collection. You can batch process collections, handy for marking movies as seen or unseen, or change the category of selected items. Fantastic Library also allows you to publicly share links from individual entries or entire catalogues directly to Twitter, Facebook, or by email and SMS. The full version of the app has no adverts, unlimited entries, categories, loans and borrows, and synchronization between any other iOS devices. If you simply want to scan books, the online social networking site, GoodReads 10 Essential Goodreads Tips For Book Nerds 10 Essential Goodreads Tips For Book Nerds Goodreads has made the hunt for the next book to read a lot easier. If you like books, and are on Goodreads (or planning to be), then these tips should help enrich your reading experience. 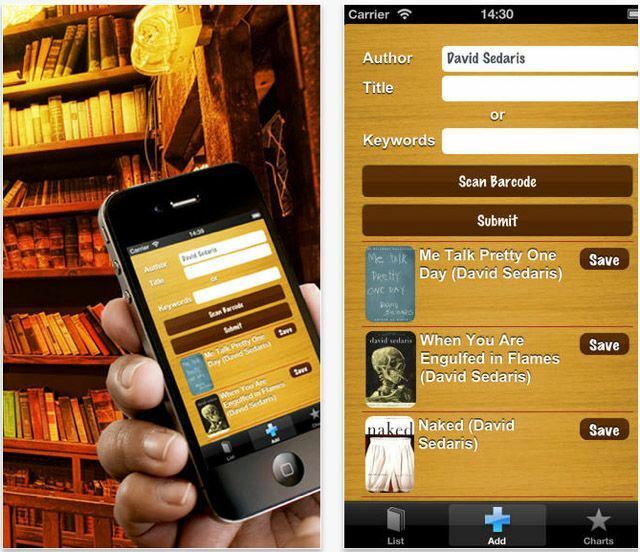 Read More provides a free iOS app that is fully functional on the iPhone. The app allows for continuous scanning by simply keeping the scanner open and saving scanned books in the background. The best thing about GoodReads is that you can add books to your custom genres and collections, write and share book reviews, and get recommendations for other books. And as you might expect, scanned books in your library can be recommended to Facebook and Twitter, and via email and SMS. All scanned books will be synchronized to your online GoodReads account and profile page. If you want to keep your media collection on your Mac, Delicious Library 3 ($25.00, and available for free trial download) is a popular and long standing solution for cataloguing books, movies, music, video games, gadgets, and more. It has a free companion app that wirelessly connects to your iPhone and iPad and will scan barcodes and export downloaded information directly to your Delicious library. The app also includes continuous scanning, and it keeps a list of your scanned items—listing which items were successfully scanned and added your library, and which are duplicate scans. Check out our full review of Delicious Library 3 Collect ALL The Things With Delicious Library 3 for Mac OS X Collect ALL The Things With Delicious Library 3 for Mac OS X There's a pretty good chance that you have things. Many kinds of things in fact, from gadgets to toys, books to power tools and piles of DVDs. What if there was a way to organize... Read More . There are few other iOS media scanner apps which include the similar features as Fantastic Library, but most of the extra features come at a cost, and based on my tests they didn’t perform as well Fantastic Library. MyBookList is a free download, but to really get the most use out of the app, you need to pay $0.99 for the barcode scanner, $9.99 for device synchronization, and another $0.99 to unlock unlimited books. Unfortunately the app does not include continuous scanning. Collectors is also a multimedia cataloguing app, but you need to pay for each type of collection: movies, $5.99, video games, $5.99, comic books, $5.99 and so on. The app provides a free book collections scanner, but in my test, it failed to successfully download four of the seven books I scanned. If there’s a particular collection not handled by Fantastic Library, such as comic books, you may give Collectors a try. 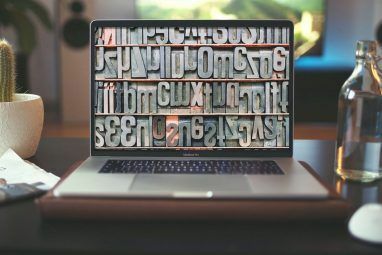 If you have ever had to manually search and import hundred of book titles and other media for your media collections, you know how painfully time consuming it can be. But thanks to apps like Fantastic Library, media cataloguing is ten times faster. Let us know which scanner app you use and recommend in the comments below this post! Explore more about: Organization Software, Scanner. I am looking for an app that will share data between different devices. That way my Wife and daughter can also scan books bar codes and add them to the "family library"
anything for us android users ? Sorry, David, I'm not familiar with Android apps. I ran a search for "scan catalogue books to android" on MUO, but nothing showed up. The Goodreads app is available on Android. Not surprising as Goodreads is now owned by Amazon.